On July 14th , elementary school children from Goto city participated in an experiential learning program to study about renewable energy and the local environment. About 90 students in the 5th and 6th grades (11 and 12 years old) had the opportunity to visit an offshore windfarm off the coast of Sakiyama, as well as learn from experts. This event was organized by the Japan Foundation as a part of their national "Japan and the Ocean" program. This was the second opportunity for Goto city to host the program, this time focusing on "Marine renewable energy, fishery promotion and science". This story starts over a hundred years ago when a steam locomotive, a tender, and two box cars hit rock fall debris and fell off a Cliffside rail into Lake Superior. Three crew members died in the accident, but the missing rail equipment was not found until 2014, where one of the box cars was located by Terry Irvine of Ingersoll, PN, Paul Turpin of Discovery Charters in Rossport, ON and Bob Krause of Schreiber, ON. They vowed to return and continue to search, and two years later they did. On July 22nd, Tom Crossmon of Duluth, MN offered his 24 foot Lake Assault boat, ROV, and considerable ROV experience to a crew that also consisted of Ron Benson, Todd Janquart, Dave Schlenker, and Mac Schlenker. 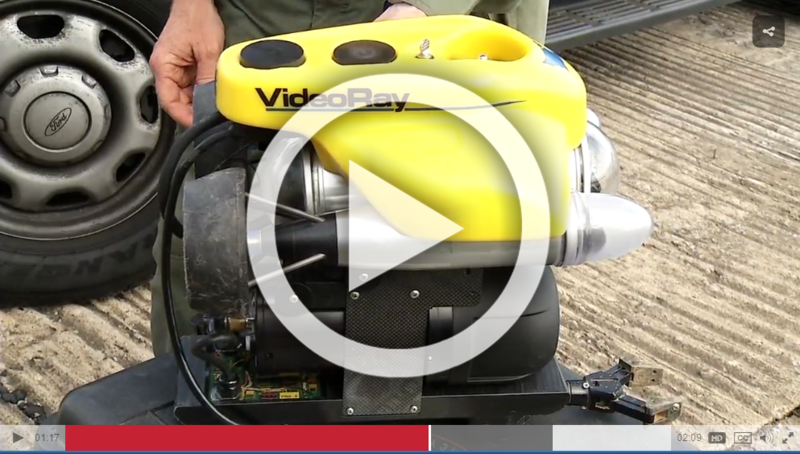 Tom's VideoRay Pro 4 ROV could spend unlimited time at any depth that the search would require, and was equipped with imaging sonar. This high tech search tool, combined with Tom's skill and a bit of luck, allowed him to located the locomotive and the remaining cars, and to image them along with the divers after the location was determined. Recounting his experience, Tom noted "I was blown away to be the first person in 106 years to see this train as were the others on the boat with me." There are plans to return to the wreck site in August to do more documentation of the remarkably good condition it is in. This is the second VideoRay win at NPD – in 2003, the NPD purchased at VideoRay Pro 2 unit, which still functions. The latest equipment includes multi-beam imaging sonar from BlueView Technologies, Smart Tether from KCF, LYYN video clarification, and VIdeoRay's rotating manipulator, hull crawling, and radiation detection accessories. The five day training, completed in June 2016, included operations of all of the systems and accessory combinations, basic maintenance, and techniques for operating in very cloudy water with less than one foot of visibility. Instructor Brett Kolb, with over 10 years of operational experience in all aspects of VideoRay operations, maintenance, and repair, was very impressed with the six member team from the Harbor Patrol Unit, commenting that they had clearly treated everyone with equal respect, and had gained the trust of everyone they worked with in Norfolk. 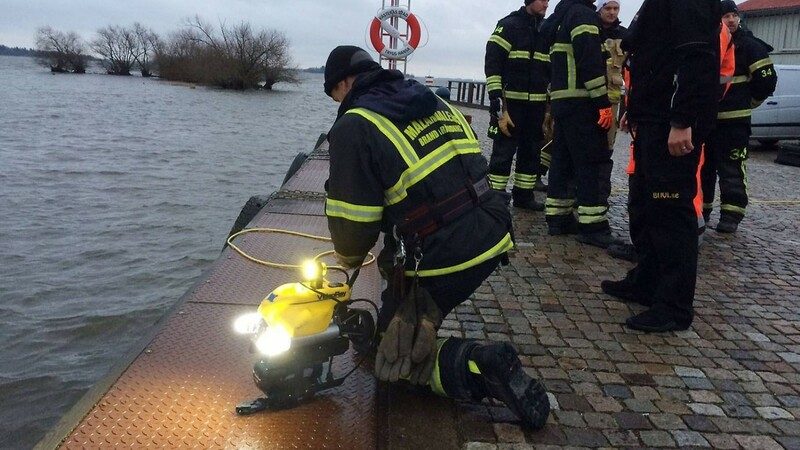 They were also very familiar with different underwater handheld and sidescan sonar tools, and were impressed with the performance and integration of the VideoRay sonar, positioning, video, still photo, and manipulation functions. JUNE 30, 2016 – VideoRay Pro 4 assists in the Discovery of the Canadian schooner "Royal Albert"
Training Courses to be held at the NASA Neutral Buoyancy Laboratory (NBL) facility located at the Johnson Space Center (JSC) Sonny Carter Training Facility (SCTF) in Houston, Texas. In partnership with VideoRay, Oceaneering International Inc. (OII) is pleased to offer VideoRay open enrollment Basis Operator Training classes at the NASA Neutral Buoyancy Laboratory (NBL) facility located at the Johnson Space Center (JSC) Sonny Carter Training Facility (SCTF) in Houston, Texas. With our unique location, organizations located in the greater Houston area can benefit by reducing travel related cost associated with training new VideoRay operators and maintaining proficiency for existing operators certified on the VideoRay ROV Pro 4 system. This open enrollment basic operator training will provide students with a thorough understanding of the VideoRay ROV Pro 4 system, including setup, checkout and operations. Tips and techniques will be offered to assist students in VideoRay operational capabilities, along with breakdown, cleaning and operator maintenance. Through a progressive and proven method, the Basic Operator training course will help training participants develop knowledge of the VideoRay system and gain confidence in their operator skills. Pottstown, PA – VideoRay, the largest volume producer of underwater remotely operated vehicle (ROV) systems is pleased to announce a new partnership with KSI Data Sciences, the leaders in video and data management for remote sensors, to provide MissionCaster® live video sharing technology on VideoRay Pro 4 and Mission Specialist Series ROV systems beginning in the summer of 2016. MissionCaster is a mobile, network enabled (LTE), video encoder designed for remote sensing platforms that can securely broadcast live video to the cloud for real-time situational awareness, exploitation, and sharing to anyone in the world via a web browser and internet connection. It is part of the MissionKeeper™ cloud-based video and data management platform. Initially conceived for the aerial drone market, MissionCaster transitions seamlessly to the underwater world making your VideoRay ROV missions available in real-time to anyone you choose to share with. The MissionCaster viewer's slick user interface not only displays the low-latency live video stream from the ROV, but also allows the viewing of a live, moving map with the ROV's positioning and mission history. All video and data from the mission is compiled and can be set to automatically be sent to one of several popular online services such as Dropbox or Google Drive. If a network is unavailable at the mission site, MissionCaster can also archive the video and data onto a removable SD storage card (up to 512 GB). 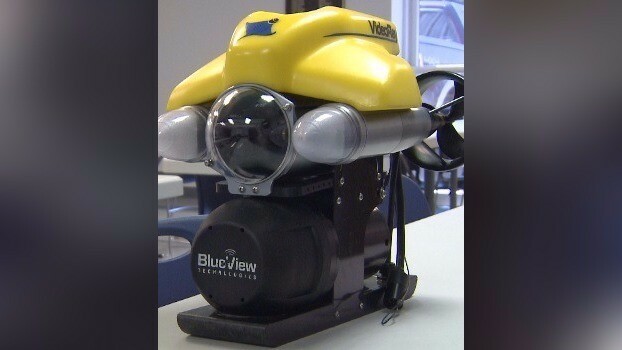 From Scott Bentley, Founder and CEO of VideoRay LLC: "VideoRay has always been on the forefront of underwater technology, so we are thrilled to partner with KSI to bring our customers the best possible ROV experience. MissionCaster adds a much-needed capability to the Pro 4 and Mission Specialist Series ROV systems: easily and efficiently sharing a live stream to a larger audience." 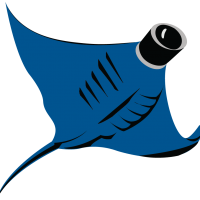 From Jon Gaster, Co-Founder and CEO of KSI Data Sciences: "We are delighted to be partnering with VideoRay, their market leading ROV systems are a perfect complement for our video and data management and collaboration tools. We believe the market will be quick to recognize VideoRay's continuing success in providing solutions that address customers' complex operational issues." The MissionCaster HD technology will be on display at Oceanology 2016 at ExCel London, UK in VideoRay's stand (L200) March 15-17, 2016.